Wait- Are you one of those silly people who has never really gotten into the whole Oktoberfest thing? If so, why the hell not! Oktoberfest is second only to Christmas in our books. It's all about knocking back a few cold brews with good mates, and maybe partaking in a chicken dance or two, dressed in your fancy German threads. It's a good time. And that's why we're here... to make sure you don't miss out on all the fun this year! Bavarian always brings the party during Oktoberfest, but this year they have really outdone themselves! 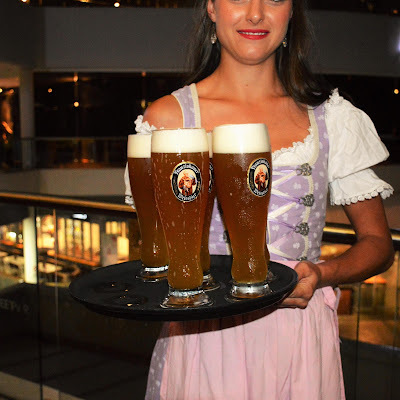 At Bavarian Bier Café Eagle St Pier, guests can be amongst the first to have exclusive access to the limited edition Oktoberfest biers from Lowenbrau, Spaten, Hofbräu, Paulaner and Hacker-Pschorr. The extremely popular Jägermeister parties will return again this year as well as a fun-packed calendar of events, including Oktoberfest games, live oompah bands and DJs, regular keg tapping parties (FREE BEER) and family fun days until the celebrations end on Saturday, 31 October. 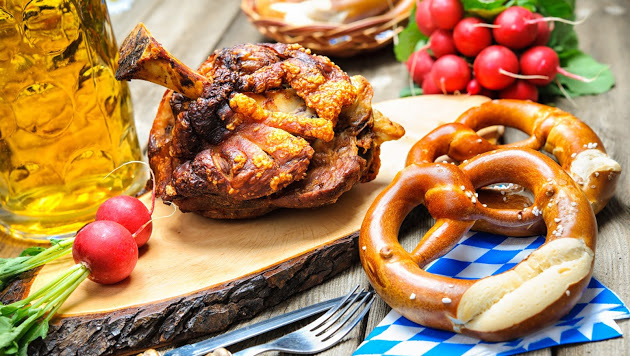 Oktoberfest menus starring hearty Bavarian classic dishes, such as roasted pork knuckle, crispy pork belly, haus made sausages, huge schnitzels and haus-baked strudels will help create the ultimate cultural experience. For more information on the Oktoberfest events at Bavarian Bier Cafe head to the official website, click here. 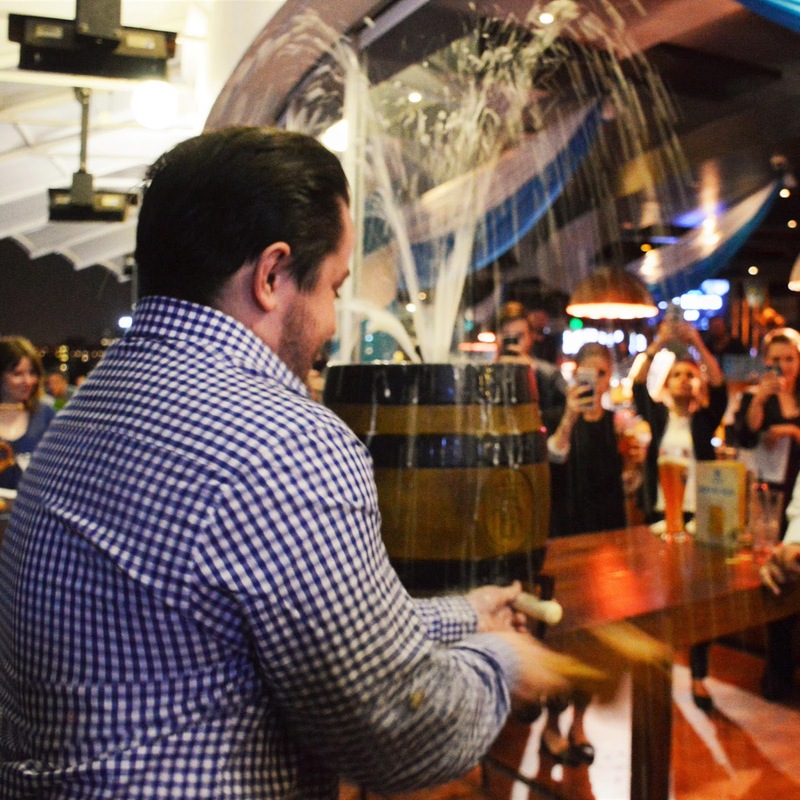 Of course there is no better way to celebrate this momentous occasion than at Australia's LARGEST Oktoberfest festival. Live entertainment, delicious German food, competitions, colourful costumes, traditional German beers, and plenty of chicken dancing! This event is not to be missed. You will feel as though you've been transported to the streets of Munich once you step through those gates. The festival begins in exactly 9 days. 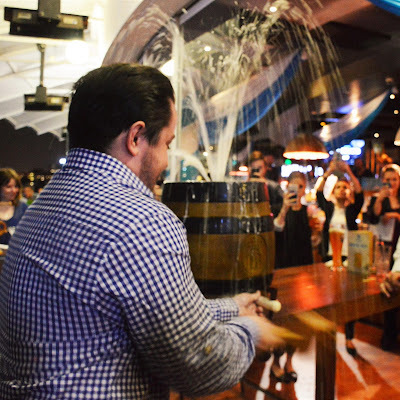 Trust us, it's the most fun you can have with a lederhosen on! Get your tickets now - click here ! Special note: As always, drink responsibly and make transportation plans when attending Oktoberfest events. Why not hitch a ride with our mates at Black n White Cabs!